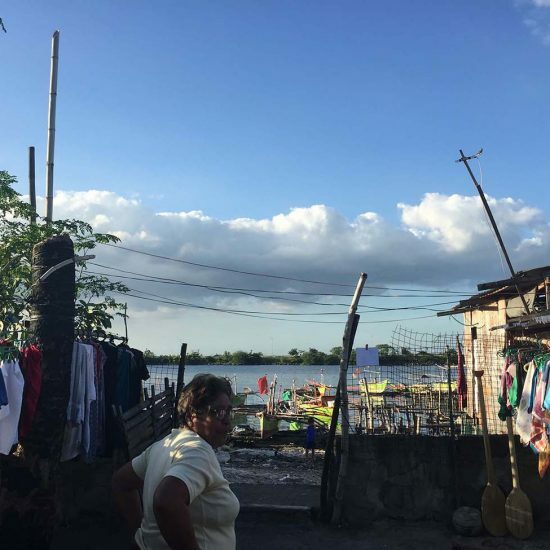 We take a look into one of the urban poor coastal communities of Maliksi III, a village in Bacoor City holding more than 2,000 families wherein the residents’ primary source of livelihood and income is fishing—and that with it comes the biggest threat they are facing as a community. Enveloping the shores facing Manila Bay and sheltered by communities with abundant sources of livelihood and food with most of its residents and families relying on their daily catch of fishes, shellfishes and established mussel farms in the way of bamboo branches standing upright amid the bay for future harvest is the coastal community of Maliksi III, a nondescript village in Bacoor City that is over 800 hectares and holds more than 2,000 families. 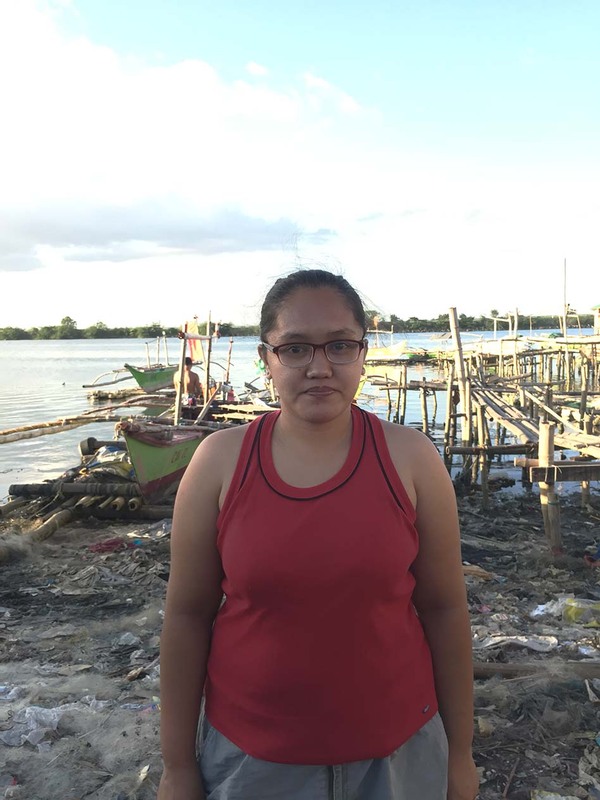 Living across the coastal area, the residents’ primary source of livelihood and income is fishing, and that with it comes the biggest threat they are facing as a community. Households built their homes following the patterns of the land patches settling the shorelines of mangroves that form the community of fishermen and families who seek sustainable livelihood for relying on the sea. 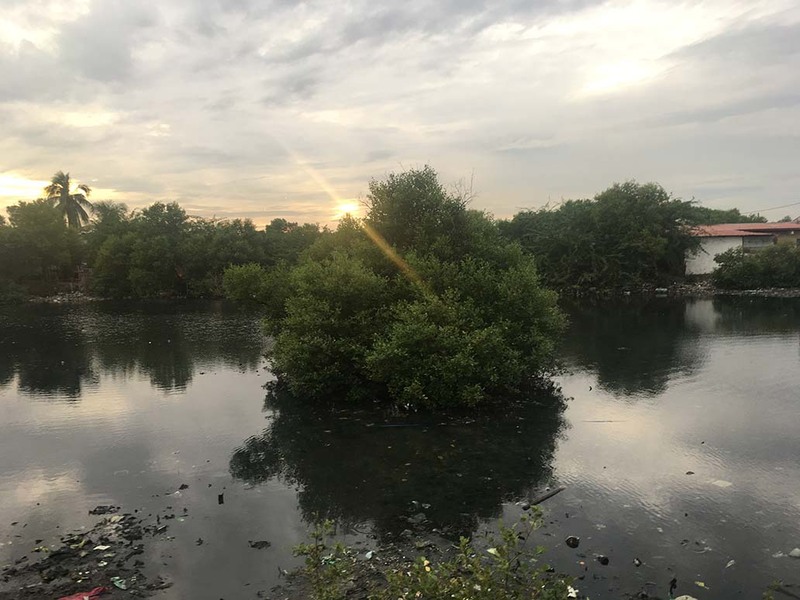 The shores of Bacoor City was involved for the huge number of residents inclined for fisheries due to its sufficient location for vigorous catches of aquatic resources, and the nearby metropolis for accessibility on their industrial occupations. With Bacoor City government’s proposed projects for infrastructure and urban development such as the Bacoor Diversion Road, Bacoor Diversion Road Crossing, and Riverwalk, they set their own plans to take over the land areas that the Maliksi III residents occupy, which have led them to a conflict fighting for their land rights and livelihood. 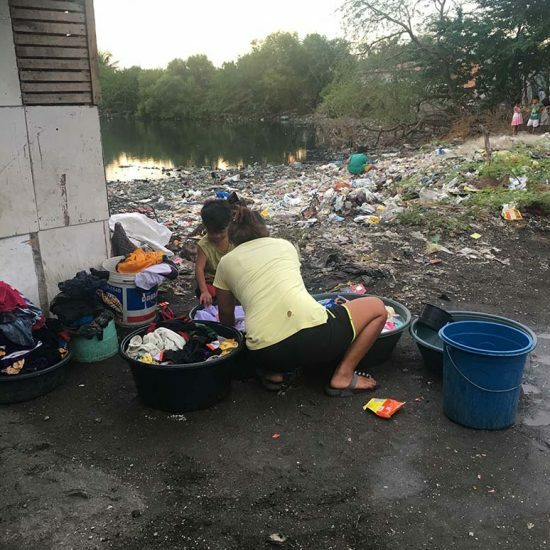 One of the urban poor communities in focus is that of Barangay Maliksi III, a remote area of Maliksi that passes through the fishing ponds that divides the settlement among other barangays in Bacoor. Narrow streets that only pedestrians can pass by due to the settlements of household that are close to each other occupying the small area of lands along the nearby shoreline are the path to access the village. The presence of the bay among them, being their primary source of livelihood is the cause for these urban poor families to prevail despite their treacherous location and displacement attempts by the government. 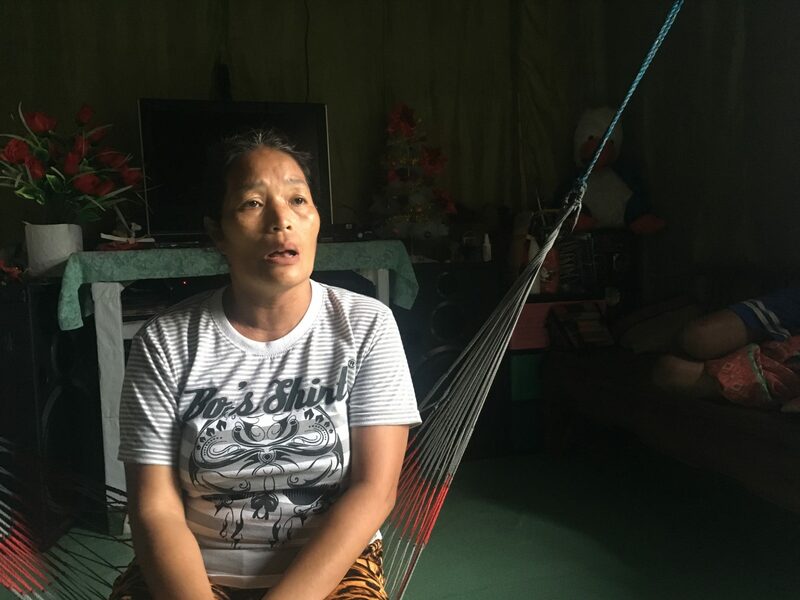 Shyne Bohol, a resident of Maliksi II and a housewife, shared her concerns over their loss of livelihood since of the presence of abundant population of fishermen among the neighbourhood including her husband, who has been fishing for their livelihood since adolescence. 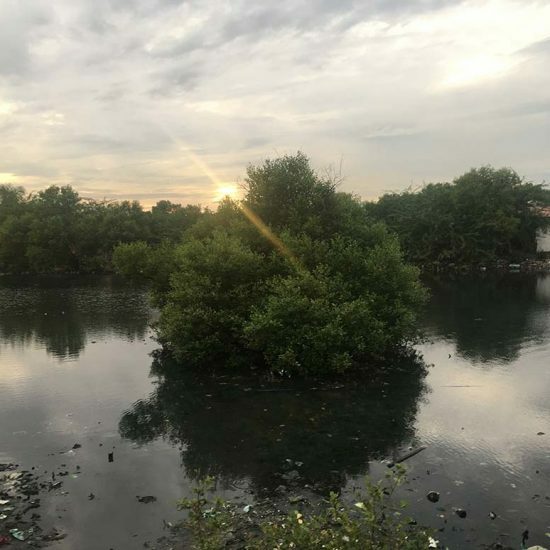 Shyne shared that the once-clear shores have turned into swamps of mud and unsustainable habitat for aquatic resources after construction of the CAVITE Expressway (CAVITEx) that previously been a viaduct to prevent environmental effects of the shoreline to the fishermen. 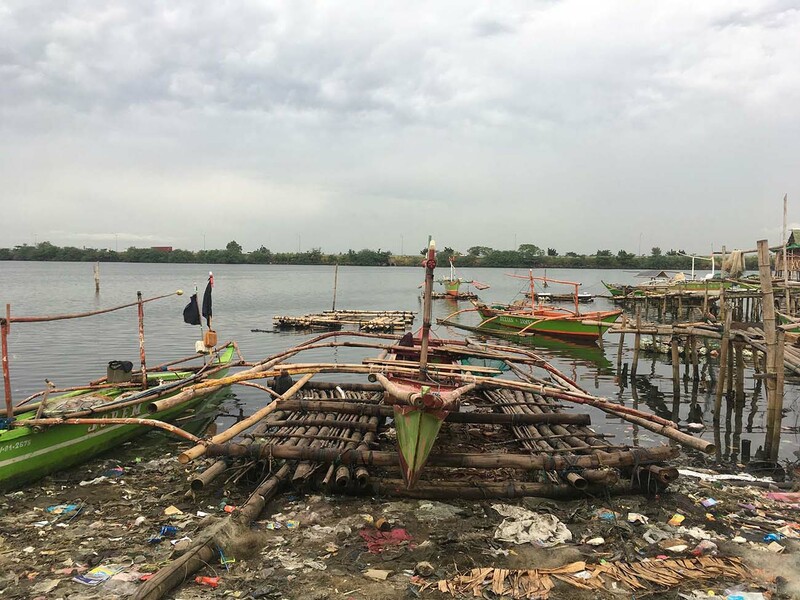 At present, Maliksi fishermen are sailing away to the bay by passing through the bridges as their only way out of the muddy shoreline of their homes. 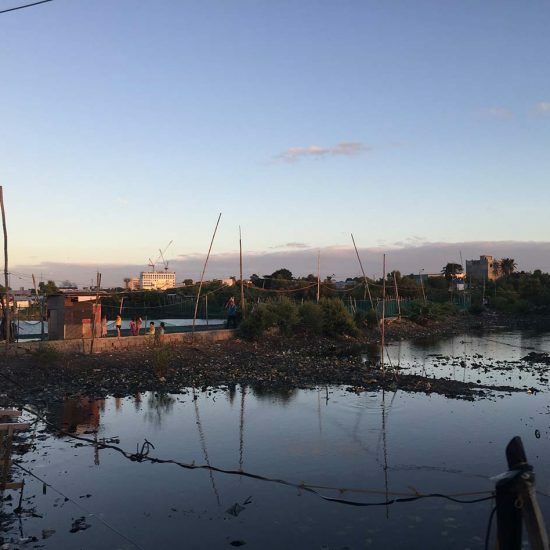 Next is the construction of a diversion road to Kawit and reclamation projects along the shore for economic development issued by the Local Government of Bacoor, as they are planning to demolish affected communities; purchase private properties, and displace illegal facilities into a resettlement area in Naic, Cavite. 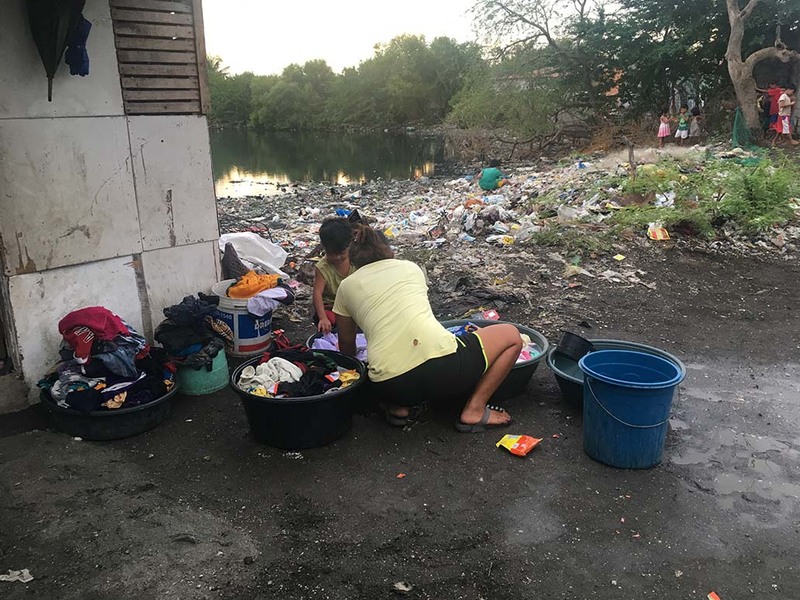 The fight for livelihood plays a vital role in the displacement, forcing the residents to abandon fisheries for an alternative Livelihood Program for the poor performed by the Bacoor City Social Welfare and Development. Yet despite these livelihood programs provided for them, no jobs are available on the relocation area as they are independent to their own livelihoods. 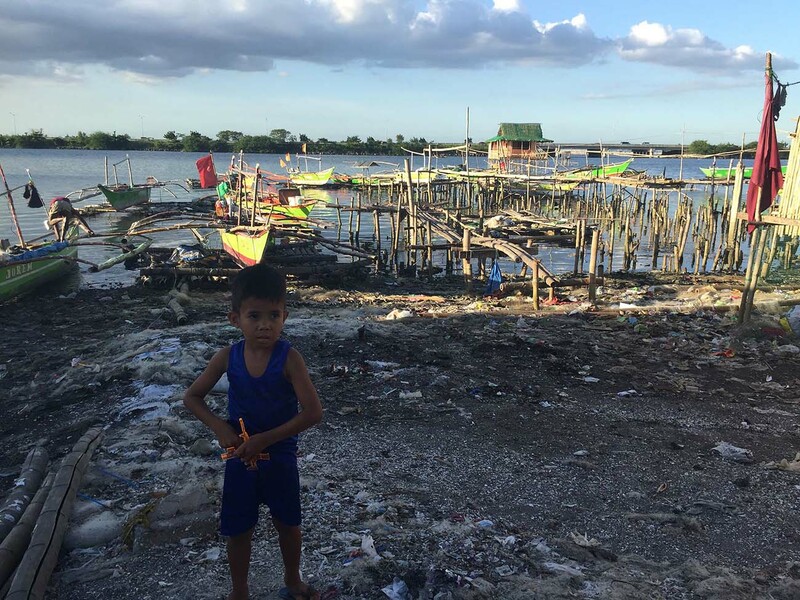 Shyne’s mother, Myrna Candinato, said that they have settled in the Maliksi III area since 1984 for mussels as their source for income. 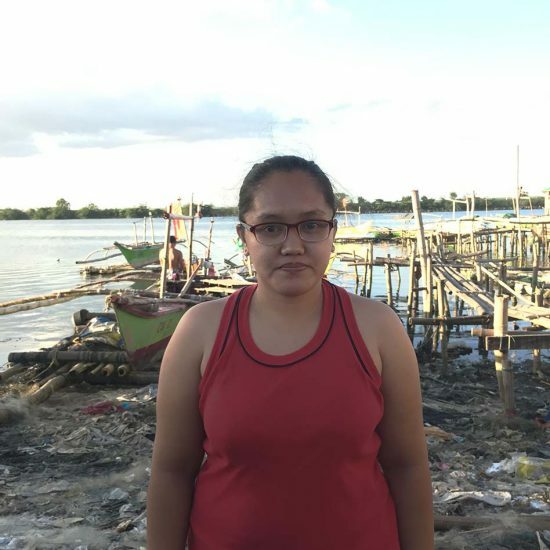 Candinato has has also shared her voice as Pambansang Lakas ng Kilusang Mamamalakaya (PAMALAKAYA-Pilipinas), an alliance of activist fisherfolk groups. Candinato is a local leader in Bacoor and president of the Alyansa ng mga Mandaragat sa Bacoor Cavite (ALYANSA). 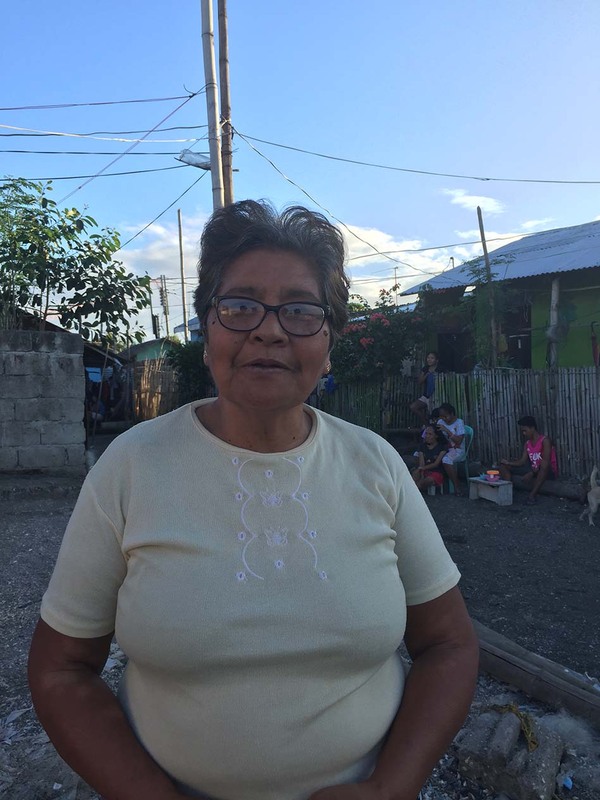 She has since then been observant of the government actions along their community as well as aware on the public action related to the threat of their livelihood and community. One of alliance’s concerns are their rights and livelihood, stating that they just signed a document from the landowner allowing them to occupy the land until further notice just last year yet they have settled the area for over 30 years giving a voice on the community’s urge to remain on shore where their lives are relied on. 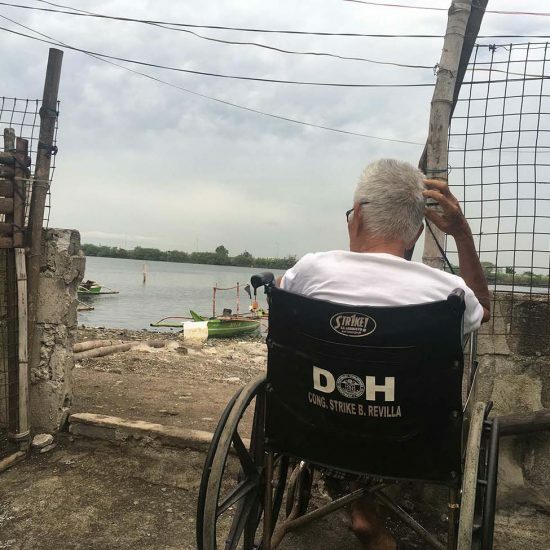 The commitment of these fishermen on their livelihood can not be denied, as the reason why these fisherfolks fight against the loss of the sea they live in cannot simply just be for the benefit of the elite. Candinato stated that these projects rely on the sake of capitalist elites and put the poor like them into oppression, saying that they are never blind and illiterate on the actions being done to push them away from their living. Candinato added that they are informed to for a tenement-type community along the area as a part of the reclamation project, yet they do not see any community of households in the development plans of parks, river walks, and development facilities that appear on the publications materials released by Bacoor City Hall. 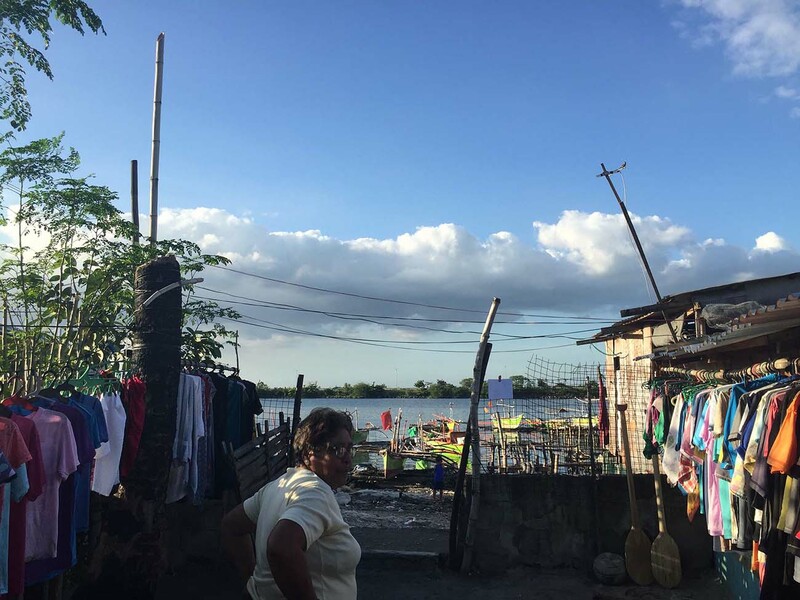 On April of 2017, a fire occured in the neighboring seaside barangay of Maliksi I, totalling homes and displacing families in the process. 500 families and over 300 hectares of land were affected by the fire that spread quickly in the area. but promised was their relocation to a safer haven. According to an initial investigation and reports from residents by Maliksi III, the source of the fire was from an abandoned house. 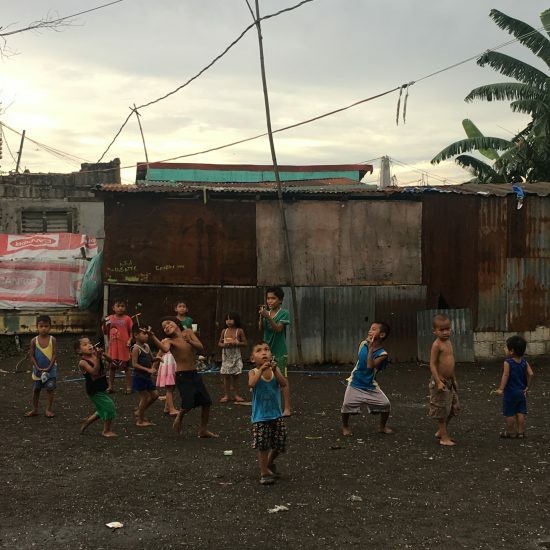 In an eerily similar turn of events, a fire also broke out in Maliksi III this June of 2018, as the flames spread swiftly in the suburb and engulfed most of the houses made of light materials and rendering 348 families hopeless and garnering around 1.5 PHP million in damages to the community. 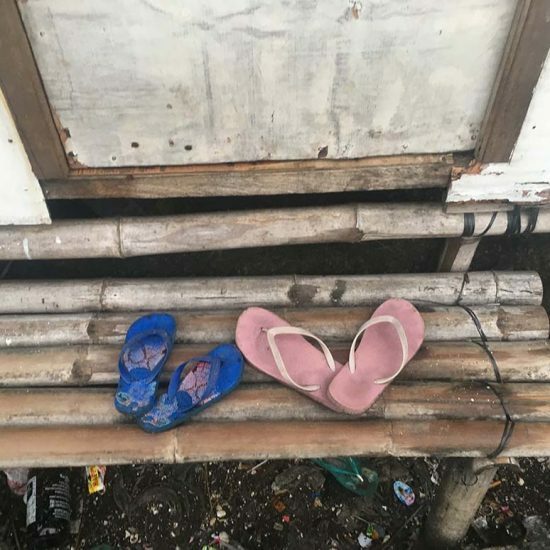 Before displacing the homeless families to Naic, they were temporarily settled in at the grounds of Maliksi Elementary School for almost two months, while others stayed at their relatives’ house, as per Maliksi III barangay tanod Kapitan Nieto Toledo. 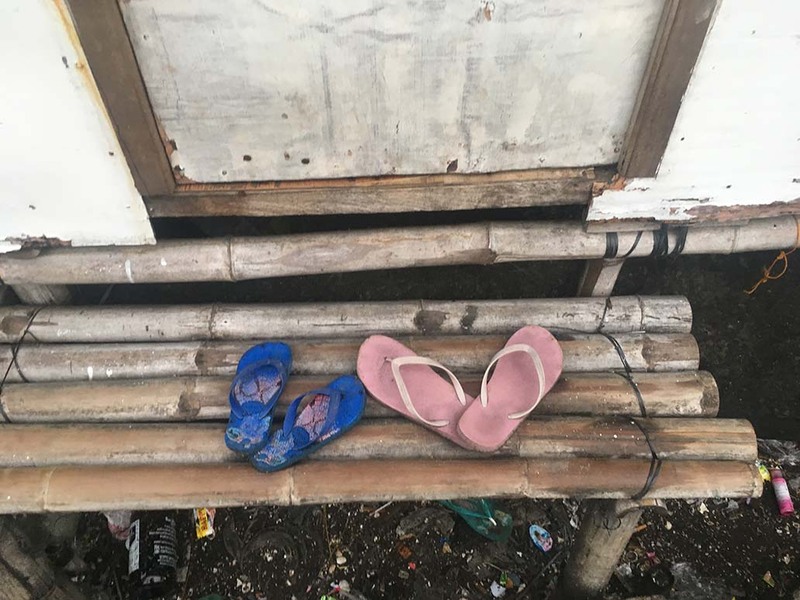 The event was a comparable situation among Candinato and other residents of Maliksi III, who went through one and a half years ago where the fire was allegedly started by children playing with matches, according to investigations. 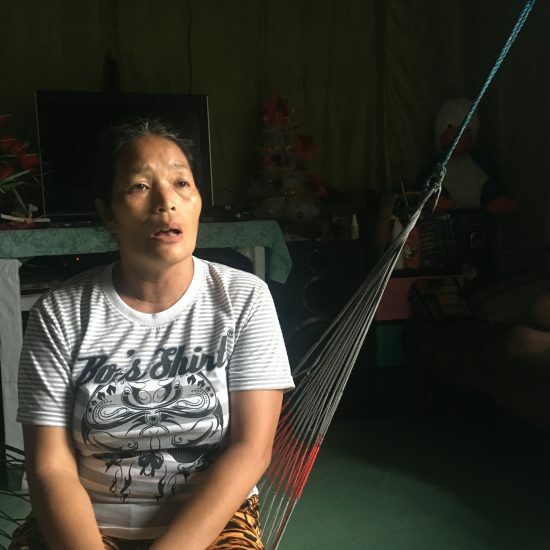 The residents have expressed doubt over the outcome of the investigation and state foul play might be at hand, despite opposing claims from their barangay tanod and the case already being closed.. Despite this, there is also no way to make Candinato and the residents back down from their battle to defend their community. 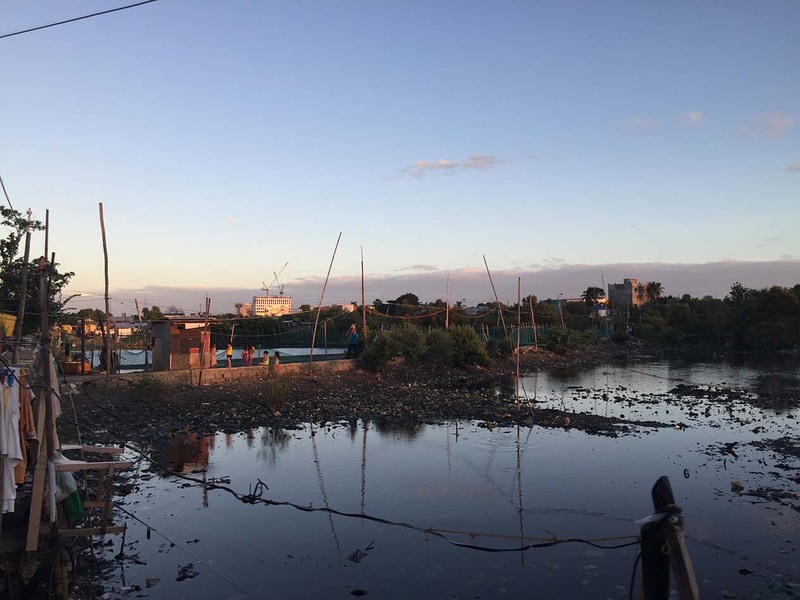 Candinato has made sure that their properties were theirs to keep by fencing parts of their land from those eyeing parts of the barangay as they may be the assets of the reclamation project in Bacoor. The project runs through multiple barangays, including Maliksi III, and would construct the Diversion Road, including other plans to revitalize Bacoor with an extensive construction plans that definitely look innovative on paper, but do not have concrete plans for the communities and families to be displaced. Moreover, also in contrast to the statement set by the residents revolving around the displeasure with the displaced families to Naic after the fire in 2017, the tanod claimed that the persons he has spoken to after displacement remained positive. 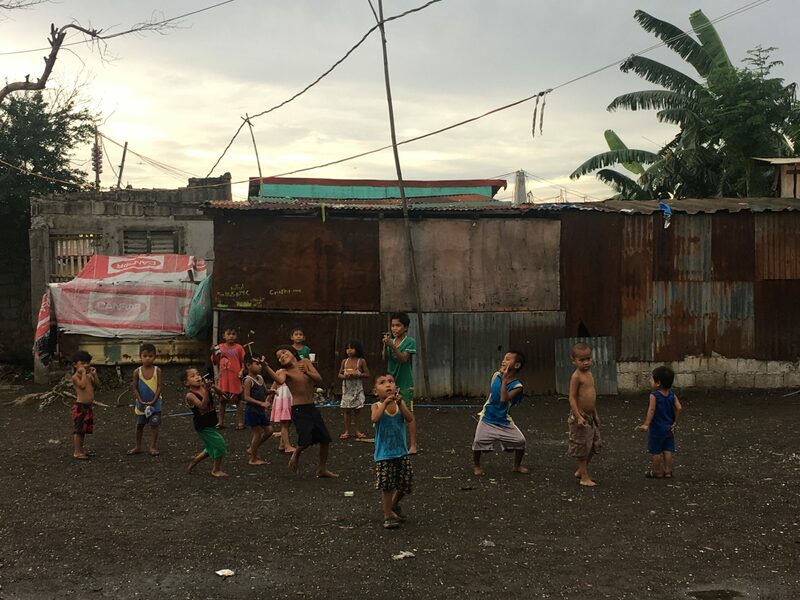 According to Toledo, “halos lahat ng makausap ko nasisiyahan na dun (Naic), nagagandahana na sa lugar,” he stated, furthering that complaints may be due to the fact that electricity is not yet availale due to the step-by-step process of the lands given to them still being underdeveloped. Despite no word from those displaced in Naic regarding their livelihoods, Toledo does confirm that many return to Maliksi III in order to earn money, either that be through fishing or continuing operations as tricycle drivers to sustain their families back in Naic, as the hefty sum given by the government is simply not enough to start a life, according to Maliksi III resident Tigon. Toledo disputes this, stating that residents should already be thankful for the roofs and livelihood programs provided by City Social Welfare and Development Office (CSWD) of Bacoor for victims of the fire, “Kaysa naman wala malipatan, walang bahay. Importante meron ka nang nasisiluhan.” Regarding PAMALAKAYA’s concern that government officials are already setting up camp and planning for their displacement by measuring the perimeter of the village, Toledo confirmed that this may possibly be to measure the coastal area eventually turned development land, stating “syempre sinukat nila para malaman nila yung sukat na mga titled na lupa dun,” as it will be utilized for deeper measurements sooner or later Despite the way he positively views the community at present, Toledo still ultimately believes that in the long run, all residents will be displaced due to the illegal settling that is currently occuring in Maliksi III and the government’s plans to build an industrial Cavite in lieu of the livelihoods and jobs of those residing in small suburbs and urban areas. 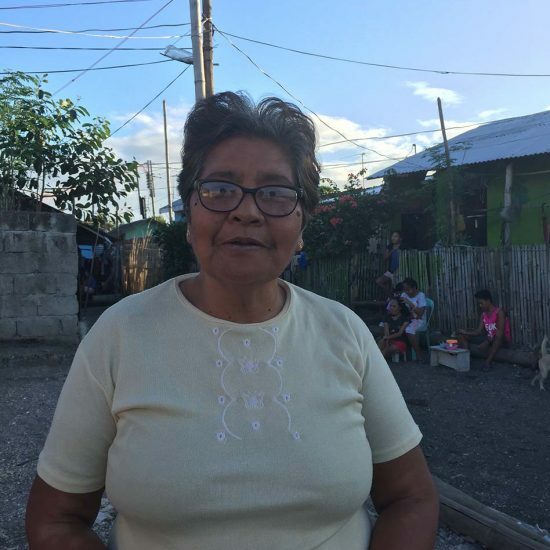 Finally, Toledo firmy stated that rumors and hearsays are rampant in the community, may that be with the people’s displacement, fires allegedly staged, and more. “Mga ibang nasa gobyerno galing, marami din chismis na meron na lilipatan ganon,” he said. To add weight to the community’s concerns over their land, the community also aims to equip themselves with the proper knowledge on policies and protocol that may aid them in their fight for their outcry regarding their land and livelihoods. 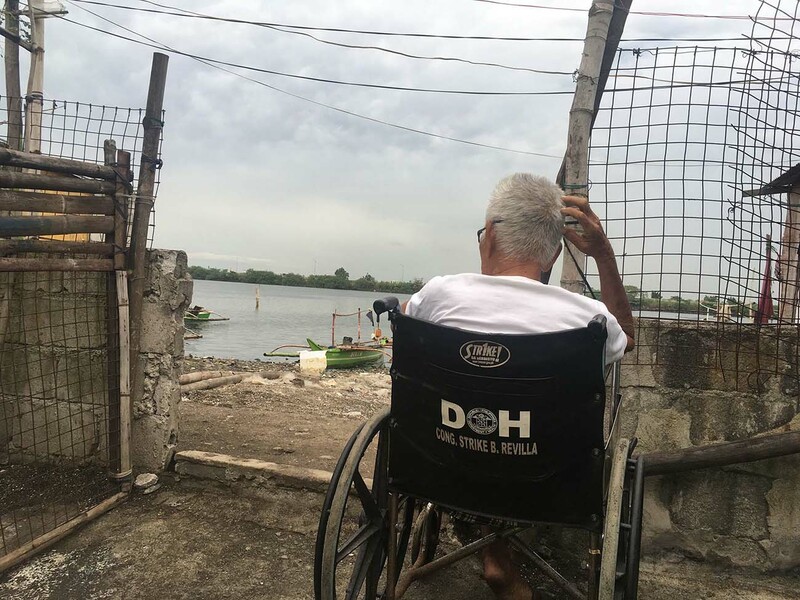 Candinato emphasized that RA 8550, the republic act governing fisheries and its subsequent amendment lapsed into law in 2015, RA 10654, failed to help improve the living condition of small fishermen like themselves. RA 10654, or the Implementing Rules and Regulations of the Fisheries Code, titled as “An Act to Prevent, Deter and Eliminate Illegal, Unreported, and Unregulated Fishing” was signed into fruition during the Aquino administration in 2015, aiming to provide necessary protocol to oversee illegal, unreported and unregulated fishing in the country as mandated by the European Union (EU) which plays a vital key in the fisheries market around the world. As compared to its predecessor, RA 8550, the revised code in 2015 has a firmer grip and higher prices to pay for illegal approaches to fishing. The revision had been highly anticipated by environmental sectors and branches of government, however local fishermen up to today still fight against RA 10654 restrictive and firm consequences. According to the IRR, violations of fisheries law stipulated “shall be penalized with confiscation of catch and gear, and an administrative fine of five (5) times the value of the catch or the amount indicated below, whichever is higher”. One of the most notable amended violations include the failure to secure permits required for commercial vessels to breach the 15-kilometer distance from coastline. 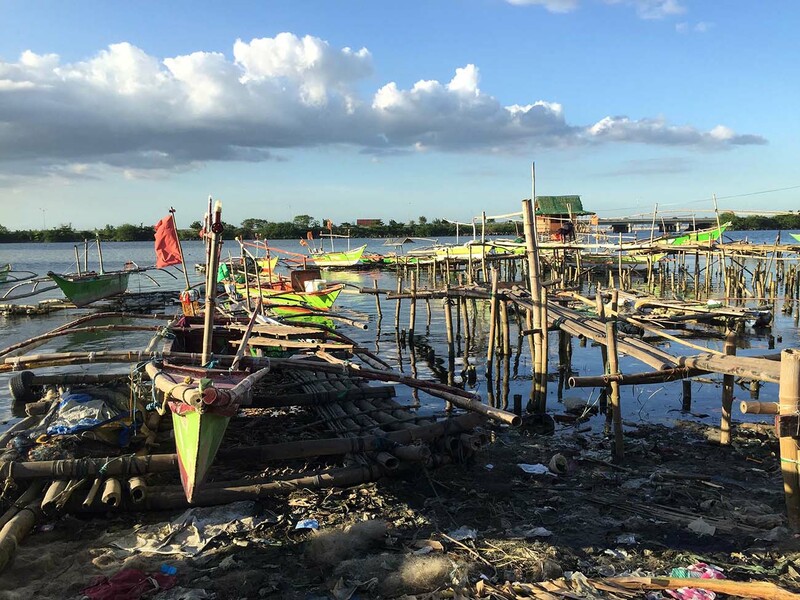 P50,000 PHP to P100,000.00 PHP will be fined for small-scale commercial fishers caught breaching the IRR. Through these policies already being implemented for three years, it sends a clear message to illegal fishers, and an unfortunate fare for those who cannot follow it. In an article by Rappler.Inc dated 2015, it stated that fishing groups during the time have started to fight against the RA 10654 way back in 2015, stating it to be “oppressive and confiscatory”, pertaining to the higher imposed fines and confiscation of catch and gear of the fishers upon violation. A Business Insider article published in the same year reported states that Candinato, in a forum held by PAMALAKAYA, stated their situation and the measly actions of the government towards her fisherfolks even before the fire at Maliksi III occurred, furthering that even before the Fisheries Code was amended, small fishermen like those from Maliksi III have already been encumbered by taxes and fines against them. These fishermen with small power are experiencing even greater hardship due to the higher penalties and restrictions that hinder their production provided by the amended law. Furthermore, as the RA 10654 was mandated by an international union that is EU, it cannot be denied, as it has been stated by fishing groups beforehand, that it is mainly catering to international fishing operations, and not entirely witnessing the realities of the local fishing industry in the Philippines which require our fishermen working below the poverty to meet the policies and standards that are not suited in the fishing context of the country. There have been countable milestones in taking back West Philippine Sea and making it ours, but China continues to bat an eye on these matters despite the unanimous decision of the Permanent Court of Arbitration in The Hague back in 2016, favoring the Philippines. The lengthy dispute on the West Philippine Sea continues to ensue up to this day. Chinese naval vessels were reportedly sailing across the West Philippine Sea, intimidating, scooting, and barging fishermen from fishing and entering the territory. Chinese President Xi Jinping’s recent state visit has prompted the two world leaders to sign a memorandum of understanding (MOU) regarding the joint oil and gas development at the West Philippine Sea, sparking outrage and controversy. With China explicitly showing to much prowess on our territorial waters, local fishermen’s livelihood will continue to be compromised, as odds will most likely play out on China’s favor. Despite MOU having less commitment than the usual memorandum of agreement (MOA), this accord could still harm our fishermen; settling to fish around nearby waters and continue to struggle for their livelihood. Furthermore, infamous construction of around 7,000 hectares foreshore land areas in Cavite to give way to the R-1 Expressway Extension Project and the reclamation of another 5,000 hectares of shallow coastal waters to expand Sangley Point Naval Base to make it one of the biggest international seaports in Southeast Asia. 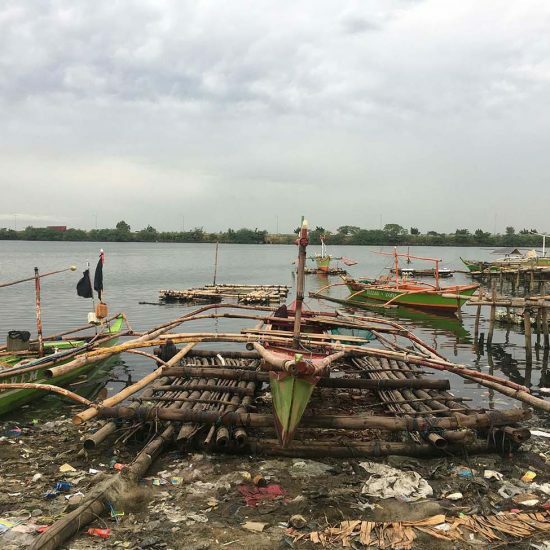 This is no new news for the residents of Maliksi III, as in 2009, 16 fisherfolk braved the murky waters of Manila Bay and staged a daring 10-kilometer swim protest from Bacoor, Cavite to the Philippine Senate to protest the construction of 7-kilometer R-1 Expressway Extension Project. 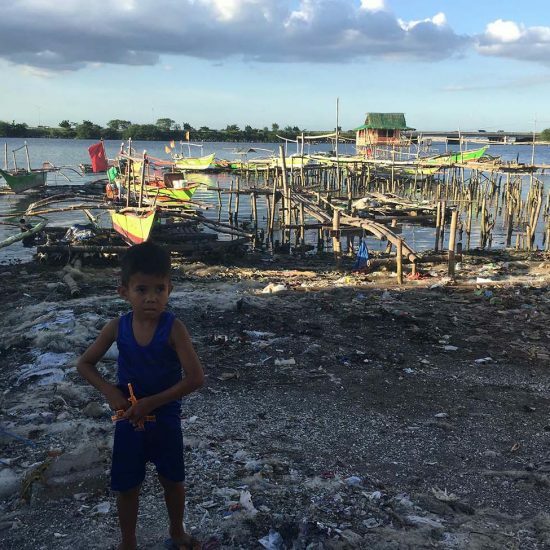 The government’s obsession with Build, Build, Build program has paved way to a staggering numbers of infrastructural developments that displaced different sectors of the society, including the New Clark Green City which displaced thousands of Aeta tribes; and now, the Bacoor Development plan that will be displacing the fishermen along the coastal communities of Bacoor. Recent reports in August have also resurfaced regarding the importation of Galunggong in the country, as there is a relative low production of the said specie in the country according to the Bureau of Fisheries and Aquatic Resources (BFAR). This situation has been a blatant representation of the shortcomings of the fishery industry, especially the select government departments and bureaus responsible for maintaining the aquatic resources and livelihood of the Philippines. The thought that an archipelagic country with one of the richest biodiversity is in dire need to import one of its fishes reflects too much of the fishing industry, more importantly the state of our fishermen. Politics and economics go hand in hand in shaping the industries in the Philippines. It is imperative to note how development caters the middle class and the elite, compromising the livelihood of those trying to barely survive everyday. Development should be inclusive regardless of social class, and it takes a great economic decisions and political admirations to execute this.